“spacewoman” 2015. Acrylic, Spraypaint, Ink, 1 round 1×1 LEGO piece on Vinyl. 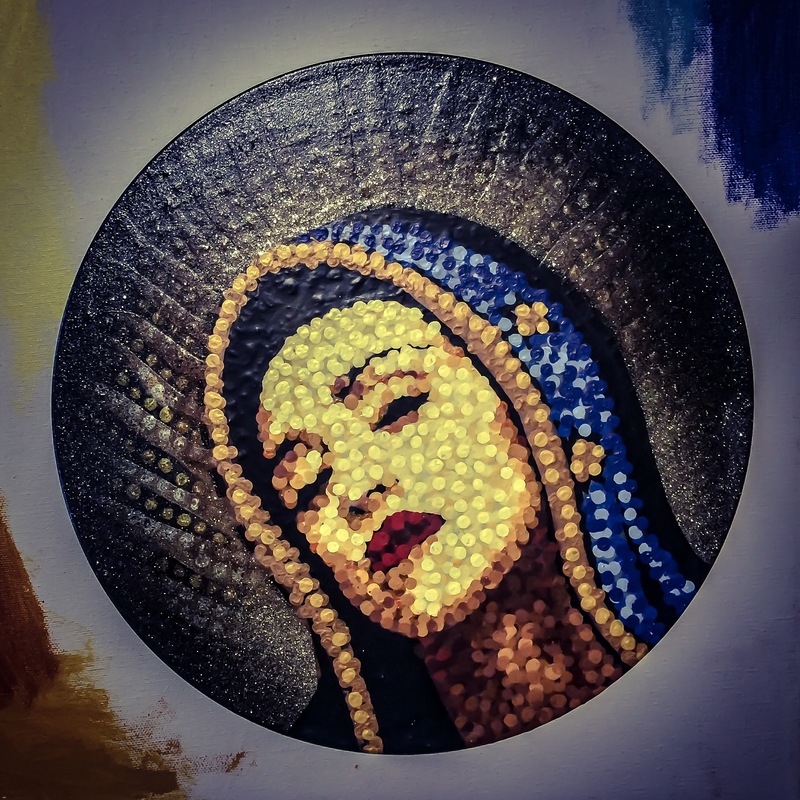 “Madge of Guadeloupe” 2015. Acrylic, Spraypaint, Ink, 1 round 1×1 LEGO piece, 2 LEGO flowers on Vinyl.